Seattle City Light is about to unveil its new state-of-the-art substation that will transition this South Lake Union site from a Greyhound bus maintenance facility and parking lot into an “architectural marvel.” From property acquisition and contaminant remediation through design and construction, Aspect completed a full range of environmental and geotechnical services to support the redevelopment of a sleek electrical substation wedged in the heart of Seattle’s tech sector. 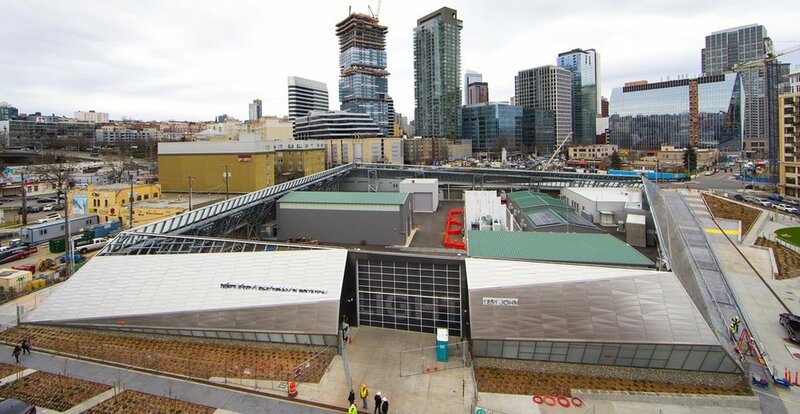 Check out this great Seattle Times article on the new substation and peruse some photos of the truly impressive facility. The Daily Journal of Commerce takes a look inside Mt. Baker Housing Association’s pioneering affordable housing work in South Seattle. Aspect, overseeing the environmental effort for the MBHA team, continues to drive the idea of brownfield sites as unique opportunities for affordable housing – including the 160+ unit Maddux project and the 350+ unit Grand Street Commons project. Alaska Airlines recently deepened its local roots with a groundbreaking for a new 128,000-square-foot corporate facility in SeaTac. Aspect is helping set the stage for this by providing environmental and geotechnical services to prep the property for development. Our team evaluated property-wide environmental conditions and is serving as the geotechnical engineer of record, which includes designing foundations and shoring walls. Aspect pilot tested and designed a deep stormwater infiltration system to sustainably manage stormwater and get it back into the ground in a more native/natural way. This helped achieve the sustainability goals of the project. We will be on hand to perform construction observation as that kicks off. 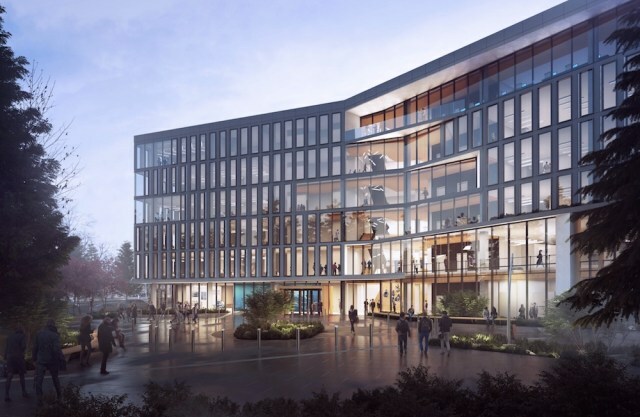 The “Hub” will be a 6-story office building scheduled for construction and then move-in for first quarter 2020. The May 3rd groundbreaking ceremony was attended by various city, county and state dignitaries, including governor Jay Inslee, Congressman Adam Smith, King County Executive Dow Constantine and Alaska Airlines CEO Brad Tilden, as well as Alaska employees and members from the surrounding community.